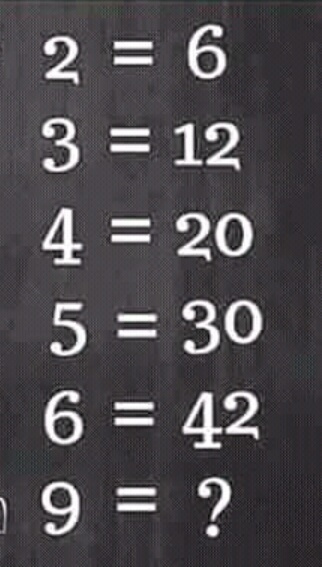 Let us try to discuss and solve some of these Puzzles one by one. 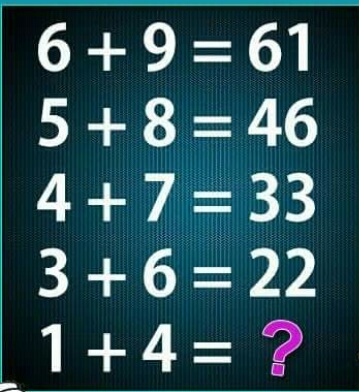 and directly asked how 9 = ? How 2 is related to 6 , in the same manners 3 is related to 12 and 4 is also related to 20 and so on. and finally we have a formula for this quiz which is (a)×(a+1) ,where "a" is given number. 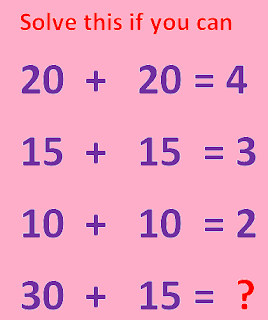 Look at this problem , To solve such types of puzzles ,1st of all do not count "+" ,"-" or any mathematical sign as it appears. 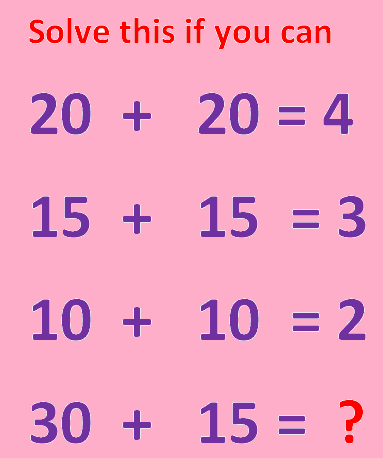 i.e in such puzzles + does not means addition and also - do not means subtraction. we our self have to make a formula to satisfies given results and conditions we have to perform such mathematical operations whose result must be the number given in the right side . 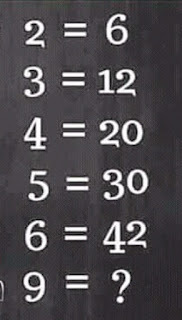 so at last if we add 30+15 which is 45 and then divide it with 10 we shall get 4.5 as answer. Most of peoples forget to understand that one step has been left intentionally to make us fool or we can say it is the part of their strategy. If we add successor of 1st term to the result just obtained then it is equal to 54+(6+1) = 61. yes it is , but is it true for next step. Thanks for devoting your valuable time for this post "How to solve various puzzles ,Quizzes , Brain Teasers and challenges " of my blog . If you liked this this blog/post, Do Follow me on my blog and share this post with your friends . We shall meet again in next post with solutions of most interesting and mind blowing puzzles ,till then Good Bye.